“Creativity is within us all.” This is a simple phrase, but it’s so true. We are all born with an open mind, and over the years it’s gradually filled with information, ideas and philosophies. We might push creativity into a corner while we explore other aspects of life, forge our personalities, ideals, morals and pursue an education. If we’re lucky, our creativity (and imagination) remains relatively intact, and when resurrected we’re able to draw on it again and tap it to enhance what we’ve learned through the maturing process. Through blogging, I’ve rediscovered aspects of my creative self that were dormant for many years. In fact, this past year I’ve pushed myself through photography and writing to expand my vision and think more creatively and expressively. It’s been a wonderful experience, and I’m happy to have “met” many others who are on the same path. So, I was quite humbled to receive the Kreativ Blogger Award last week from a blogger whom I admire and respect, Otto von Munchow, whose quote I employed to begin this post. If you haven’t spent some time on his blog, I highly recommend stopping by. His photographs are amazing, and you’ll always enjoy valuable insights into photography, travel and other cultures through his remarkable vision. 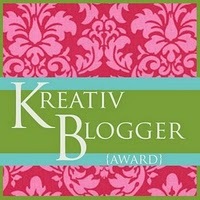 As a part of receiving this honor, I’m invited to nominate six other bloggers for the award. As there are so many talented bloggers whom I follow, it was difficult to choose just six. But here are a half-dozen that bring me enjoyment, laughter, awe and inspiration. I do hope you’ll visit these blogs and join me in admiring their work. I’m also prompted to reveal 10 things about myself that you may not know. Like Otto, I love sushi. Similarly, I really enjoy fishing but don’t really have many opportunities in my current life. I used to consider myself a cat person before a dog brought me to my senses. My favorite color is green, my least favorite household chore is filing paperwork and I still have an affinity for cute stuffed animals. I’m an insatiable reader, I subscribe to more than a dozen magazines and I love to type. And, as I write this blog (and most of my posts), I’m using a vintage, Scandinavian kneeling ergonomic chair that I purchased while in college. So, here’s to creativity! May we all enjoy the fruits of this marvel of human nature in ourselves and others. Thank you Rumpy! Peppermint hopes to follow in your paw steps and start her own blog! Congratulations on the award Tricia. I’m always impressed when a blogger manages to keep up with daily postings. Thank you! I don’t keep up as well as I’d like (sometimes a miss a day here or there), but producing a post each day helps me to constantly think creatively. Congratulations Tricia ! This is truly a well deserved award. I look forward to every post…they are always a joy to read and inspirational as well !!! …and thanks for nominating me Tricia! My pleasure! 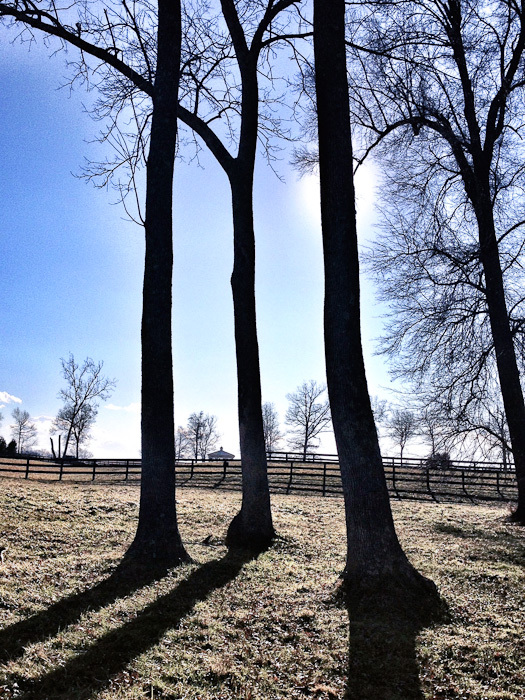 I love your blog, your beautiful photos and the knowledge you impart to us! I just want to say thank you for the very nice words. I am almost blushing. And I want to add, as the others say, it’s a delight to visit your blog, so the award is really deserved.